Sorry that I haven’t written in several days! I’ve been very busy with work. I can’t wait for tomorrow night though! I’m going to see the National Broadway Tour of Beauty and the Beast! It is one of my favorite musicals of all time, and I consider it to be very special because it was the very first broadway show I ever saw when I was 7. 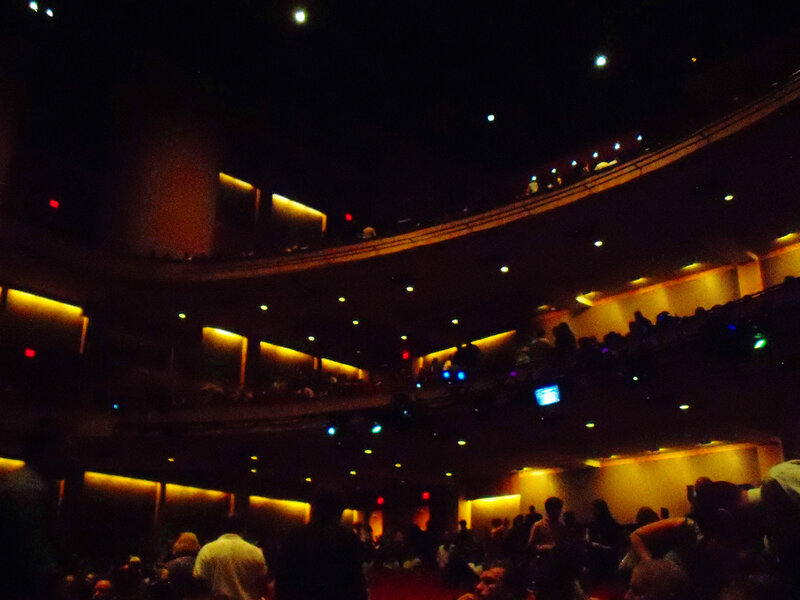 It inspired me to get more involved with theater, which I did for 8 years. So I kind of feel like I’m coming full circle, about 12 years later. 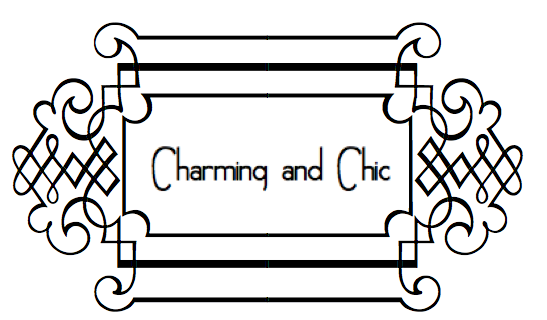 On another random note, I’m also starting up another Charming and Chic blog at charmingandchicblog.blogspot.com . I’ll of course still be posting here, but I wanted to branch out more on a different venue. So please check it out and follow! One word: Chanel. Need I say anymore? These are so chic and a work of art. I adore the pedicure and pants as well. If I win the lottery, I will be buying these. I want this entire outfit. This is how I want to dress when I visit New York in a couple of weeks. This is the perfect polished, yet laid back outfit. The exact style that I would love to wear everyday. I love both ballet and Louboutins. A match made in heaven. 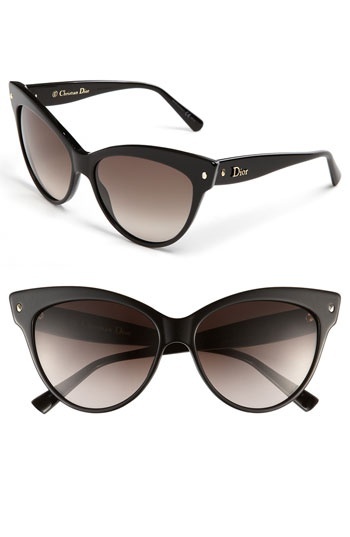 I love these Dior cat-eye sunglasses that I found online at Nordstrom. They are the epitome of classic style and sophistication. Now, I realize that these next two surprises that I stumbled upon are not nearly as incredible as my Oprah egg story. However, I realized that life’s little surprises do not need to have an incredible back story to make them special or important. The theme of surprise is itself priceless. One thing you may not know about me is that I’m obsessed with clocks! Especially old, vintage clocks. I love the architectural design of them and the concept of how a decorative piece can be functional and useful as well. I mean, we all need to know what time it is, right? Once again, while organizing a few things, I found this small clock. I couldn’t believe it. It was so cute and charming. On top of that, it was impeccable timing, (pun intended), for me to find the clock, because I’ve been contemplating getting a new one for my room. 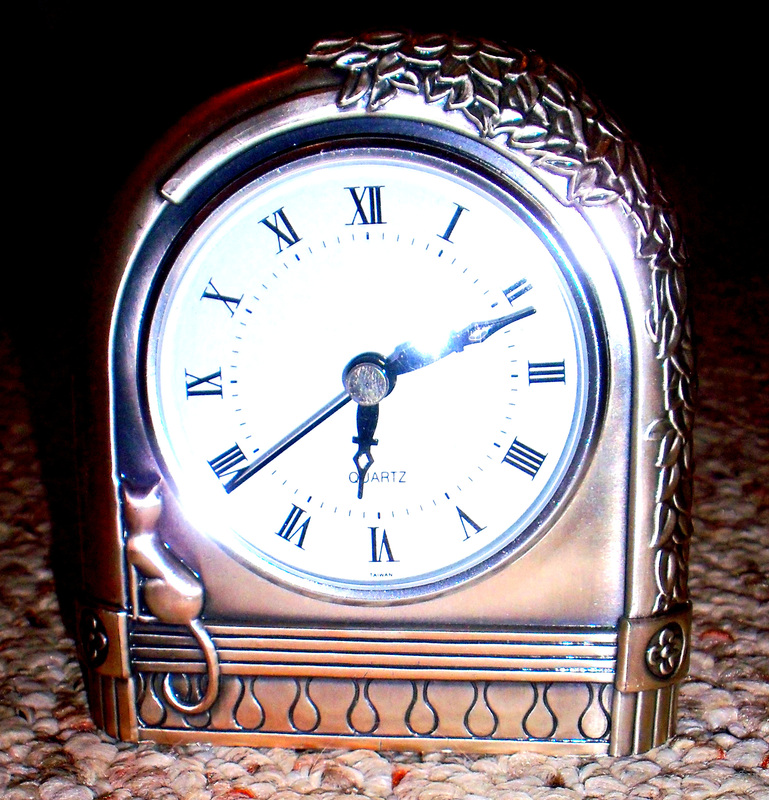 On another note, I love clocks that have roman numerals on them. In my opinion, it makes the time piece look very sophisticated. I’m still on the hunt for the perfect clock necklace, but until then, I’ll spend my time watching the time with this quaint clock. Don’t you love those moments in life when something small, charming, and unexpected pops up? Well I had a few of those moments today. While organizing my closet, I found a small package tucked behind a few shoe boxes. Puzzled, I looked at the label, and familiarity dawned on me. 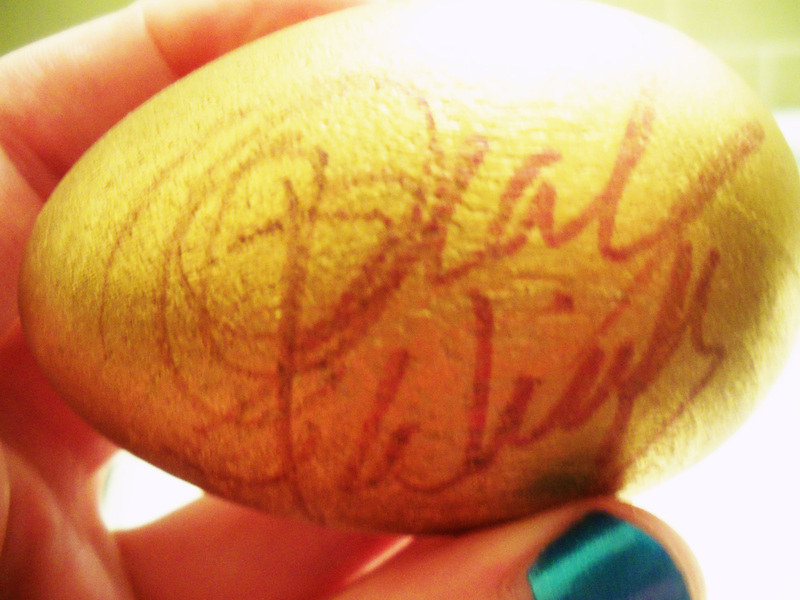 It was a golden egg signed by Oprah Winfrey! 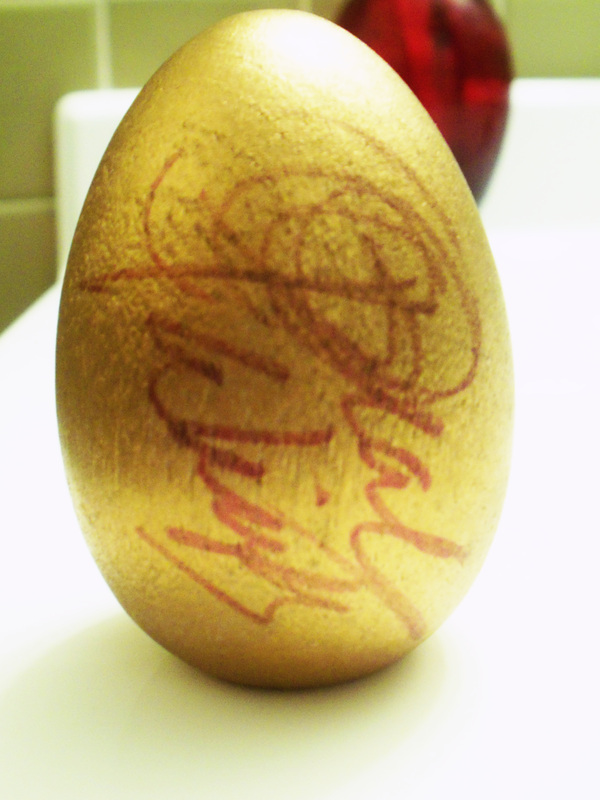 Now, I know what you’re probably thinking, why would Oprah of all people autograph a decorative egg? Well I’m still trying to figure that mystery out myself. My mother works at a television station, and back in the ’90s they were doing some kind of partnership with Oprah’s show. Somehow, because of that, Oprah herself sent the prized egg to the station, and somehow through all of the quirkiness of it, my mother ended up with it. Funny isn’t it? A couple of years ago, my mother discovered the ornament hidden in her office, and now coming full circle, I found it hidden in my closet. It’s hilarious seeing the parallels between the two stories. It’s one of those moments where people might not believe it if they didn’t see it, so here it is. I guess Oprah has that effect on people. 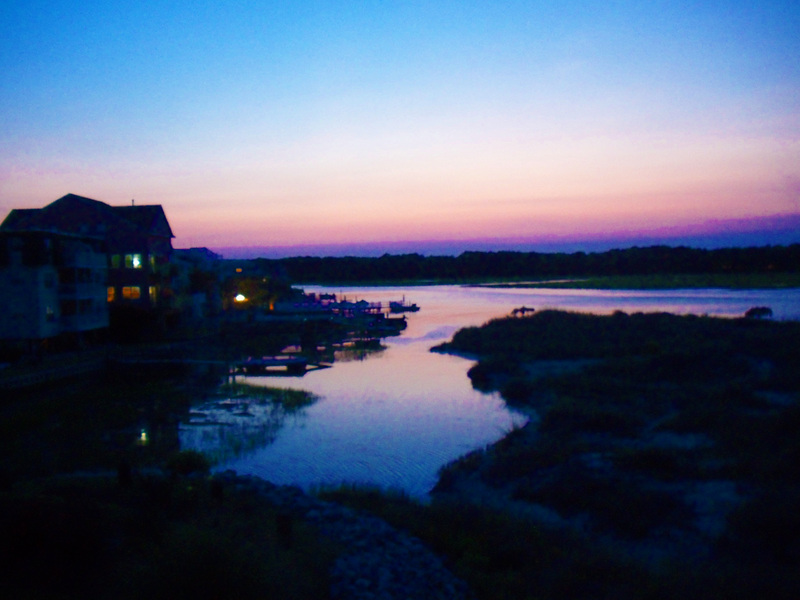 Well I’m back from spending a week at the beach. I must say, it was a much needed trip. I desperately needed to relax and soak up the sun and the sea. 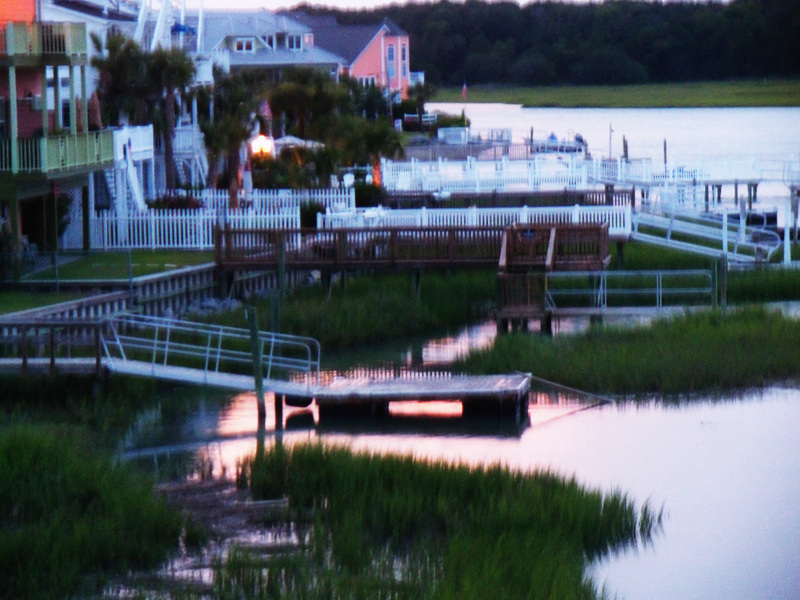 The best part though was spending time with my family and going out to eat seafood. Do you like seafood? I have to be in a certain mood to thoroughly enjoy it. Every time my family goes to the beach, we eat at this charming little restaurant called Ella’s. They seriously have the best sweet tea and hushpuppies in the South. I probably gained a couple of pounds, but it was totally worth it! On top of going out to eat, I spent most of my time tanning on the beach and running through the salt water. A perk of spending time on the beach is having the sand exfoliate your skin. I didn’t have a good hat, so I picked up a cute white floppy hat for only $8 to wear on the beach. I felt so sophisticated wearing it with my new vintage inspired one-piece swim suit. 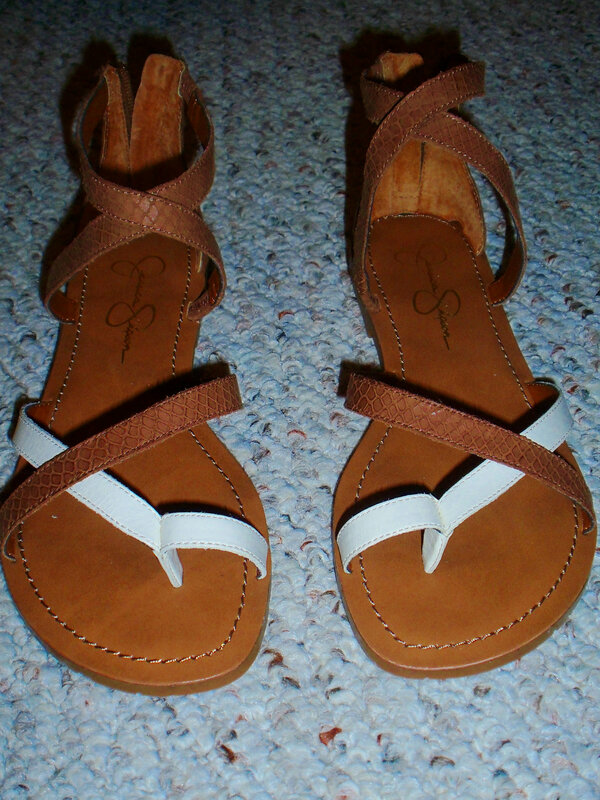 While at the beach, I consider it mandatory to go shopping, since there are so many great outlet stores around. 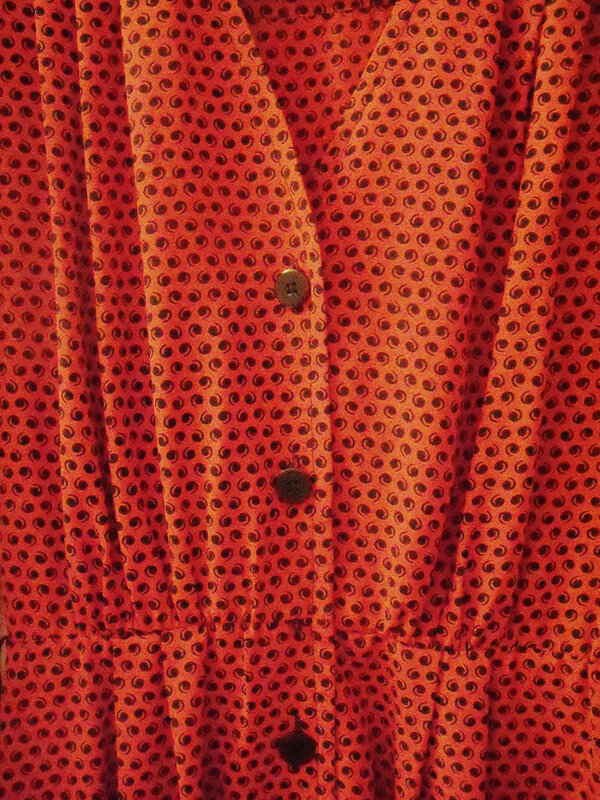 I picked up a few blouses and two Michael Kors inspired dresses. 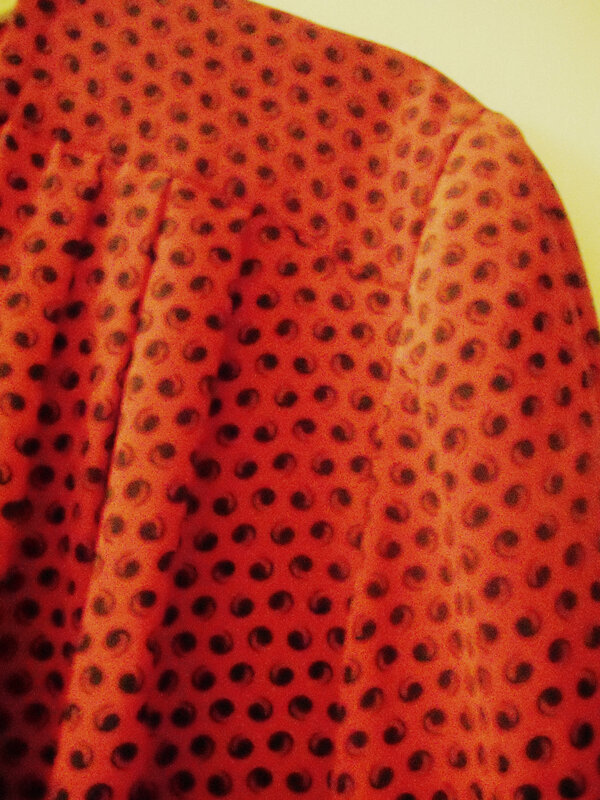 I even found a cute little suit jacket for only $20 when it was originally $80! I’ll be sure to post pictures of my new finds soon, but I still need to unpack! 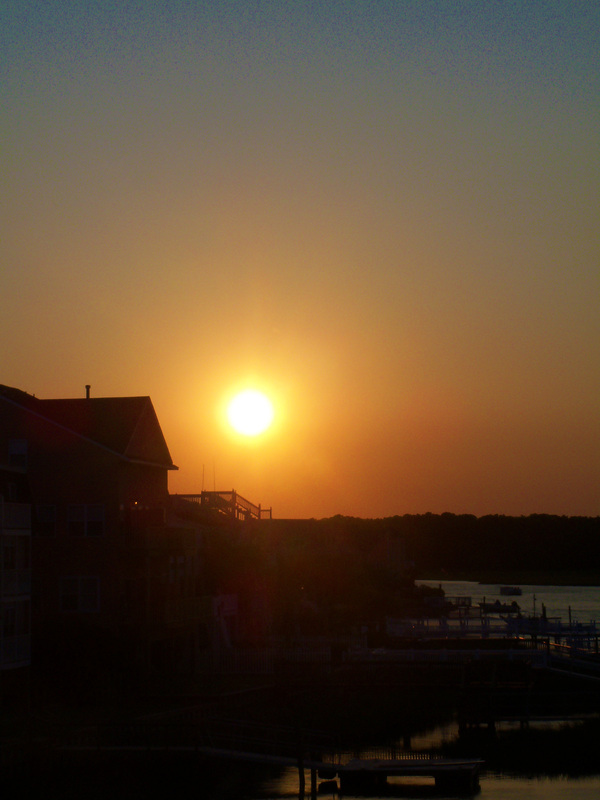 One of life’s best treasures is watching the sun set, and I must say, its breathtaking at the beach. 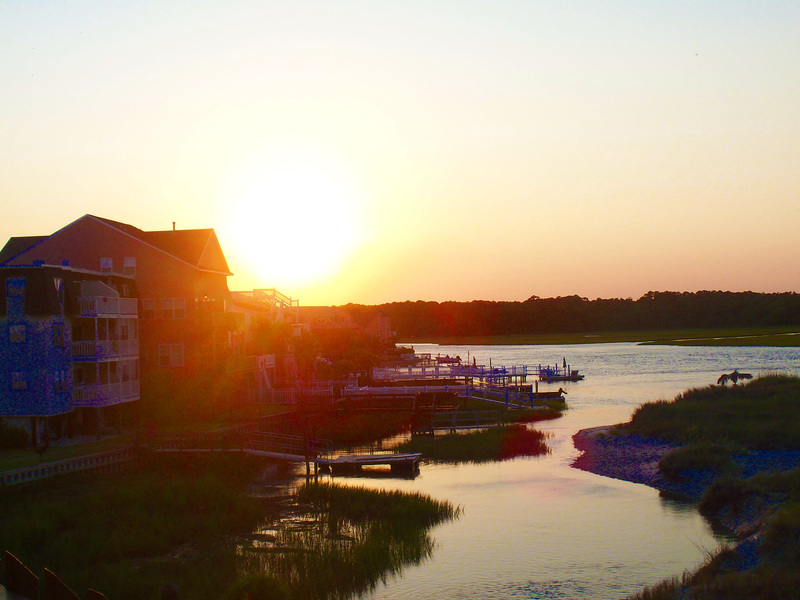 From our balcony, I could see the sun set to the left over the inlet, while to the right I could see the rest of the sand and the ocean waves. I hope that you’re enjoying your weekend. I had a great day today. I went to a car show today and saw vintage Ford Mustangs. I love everything vintage, including cars. My dad bought a white 1967 Ford Mustang this past Christmas, and we’ve been cruising around town with the windows rolled down soaking up the sun and enjoying the warm weather. 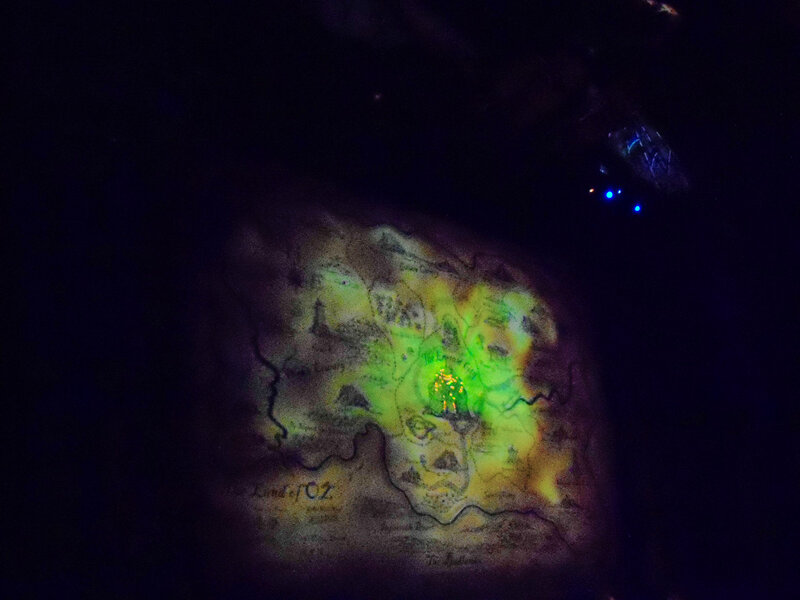 Speaking of summer activities, I recently went to see the national tour of the broadway musical “Wicked” with my mom. It was fantastic. I was very fortunate to have 5th row seats on top of that! 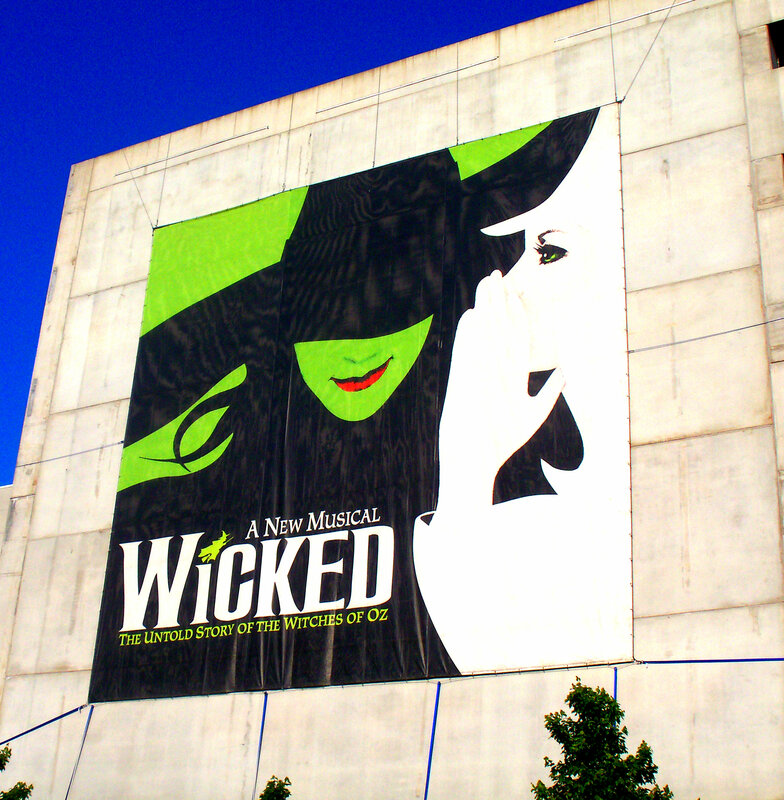 The costumes and sets were so inspiring, as well as the architecture of the theater that we visited. I get goosebumps every time I listen to the “Wicked” soundtrack, so while in the theater I almost started tearing up during the live performance. 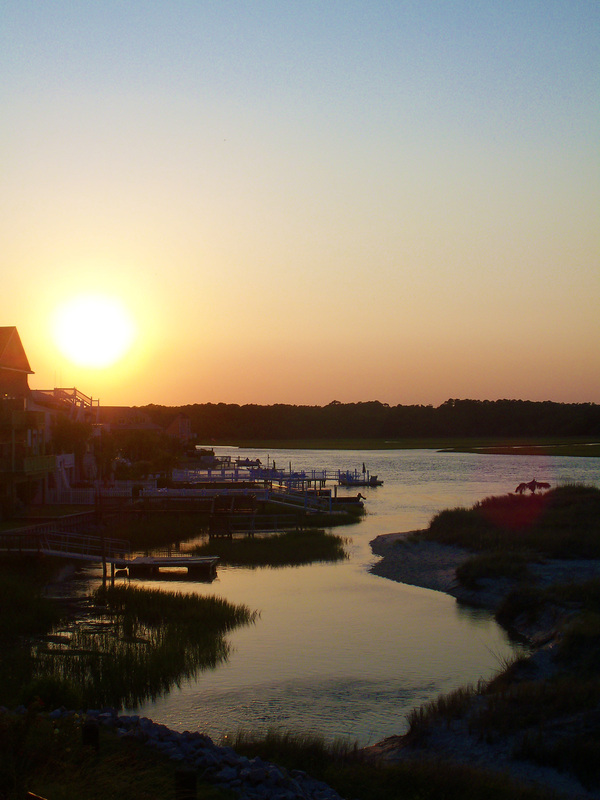 I hope that you all have a marvelous weekend, I know I cannot wait for tomorrow when I leave for the beach! One of my annual summer projects consists of my mother and I cleaning out our closets. While I could bore you with details about organizing and sorting clothes, I’m going to jump ahead to the most exciting part of our cleaning expedition. 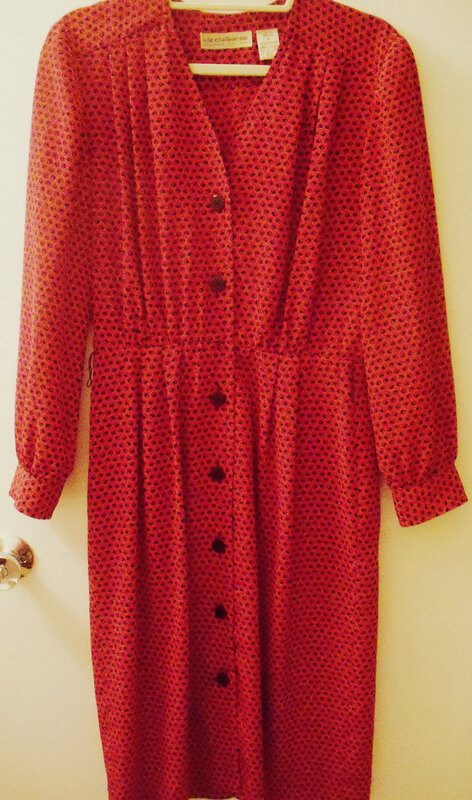 While cleaning out her project, my mother found an old dress of hers from about the late ’80s to early ’90s. She actually bought it at Saks Fifth Avenue in New York City while on vacation. I couldn’t believe the treasure she uncovered! I immediately asked her if I could have it, and she said yes! I tried it on, and it fit perfectly. It was as if it was waiting for me all those years. I decided to turn it into a DIY sewing project. So far, the only thing I’ve done is remove the ridiculously large shoulder pads. But I’m planning on shortening it, rolling up the sleeves to about mid length, and adding a new belt to make it modern. 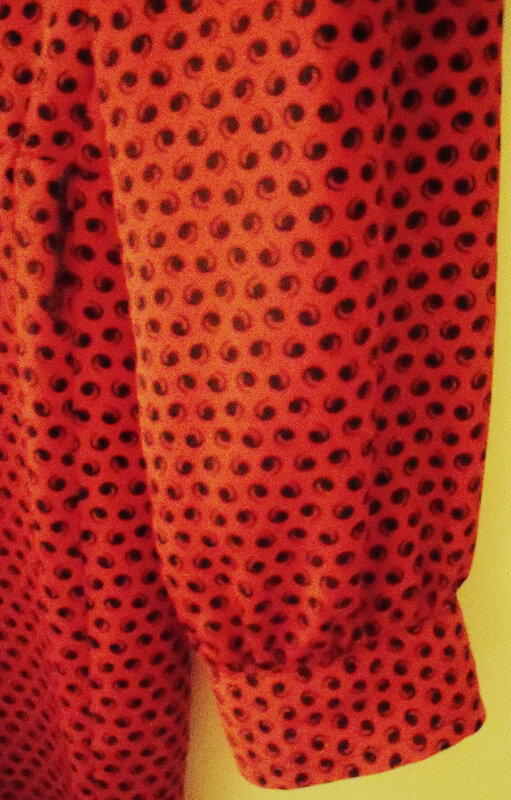 What makes this vintage piece even better in my eyes is its bright red color and quirky swirly black dotted pattern. 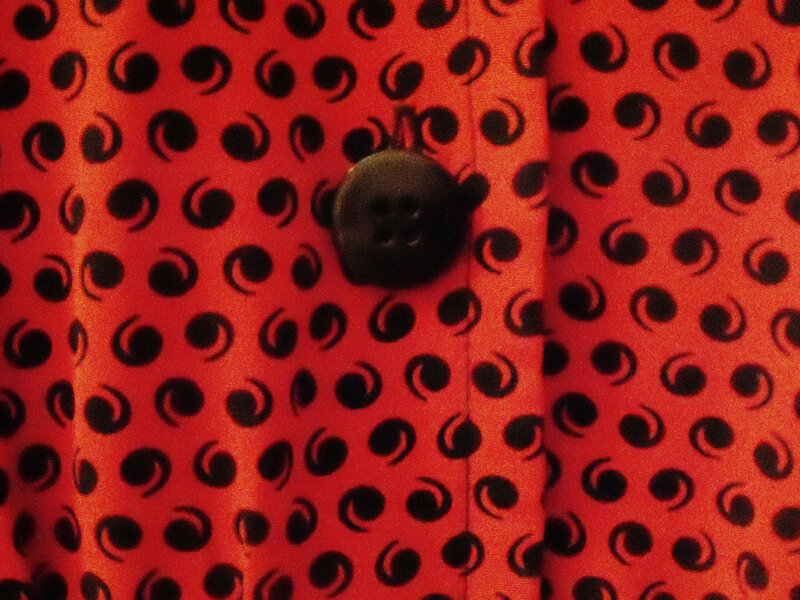 I’ll be sure to post the final results of my new vintage dress. I’m sorry that I haven’t posted in quite a long time. I was busy finishing up with school and settling into my new part time summer job at a water park. I’m actually heading out to go to the beach for a week on Sunday, and I cannot wait to get a sun kissed glow. 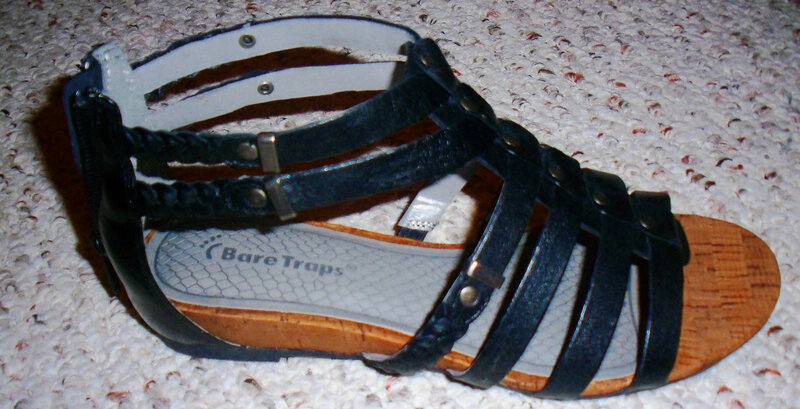 At the same shoe sale, I was pleasantly surprised to find some cute Bare Trap sandals which were also on sale. 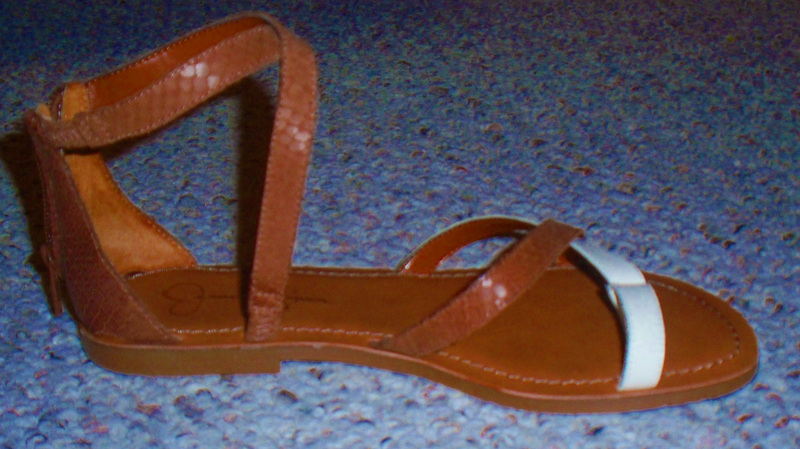 What’s so great about them is that they are known as one of the most comfortable shoe brands around. 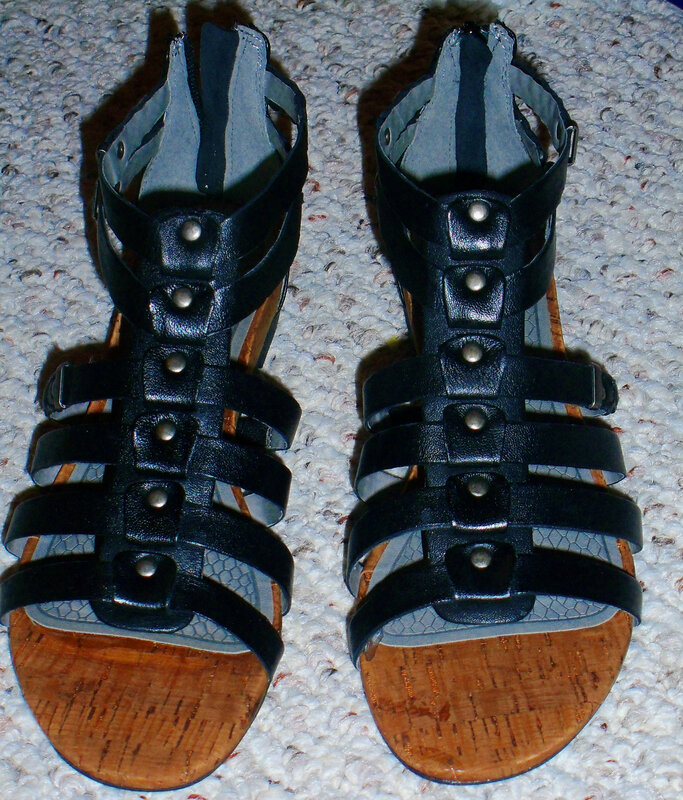 I loved the gladiator feel to them as well as the metal studs which toughened them up. They will most definitely be making the trip with me to New York. All that’s left now is for me to get a pedicure and for July 12th to get here. Stay tuned for part 2.